I wonder what she’ll look like. Will she have my eyes or yusnO’s? 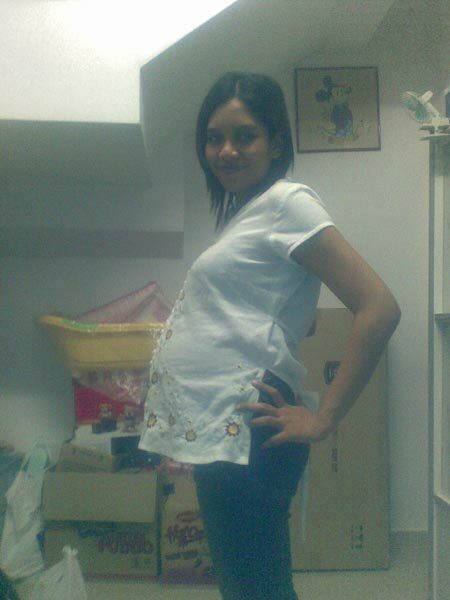 hmMm…i wonder..
here are pic of me at 33 weeks pregnant..isn’t my stomach big? ?hehe..tapi bOntot tak besar besar..macam susah je nak pakai sluar pregnant..asyik terlondeh..you will constantly finding me pulling up my jeans while walking because it keeps slipping. 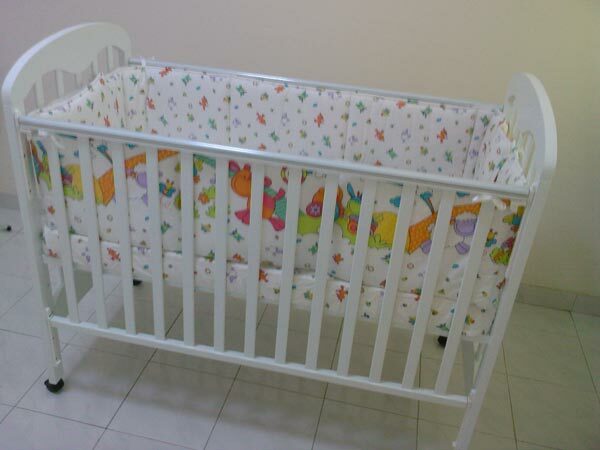 And here is the cot i’ve been telling you guys about..adorable ain’t it? ada gambar lembu lembu lagi…haha..colorful cOws!! I’ve read this book about babies and marriage. 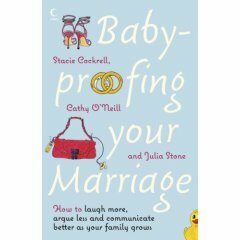 “Baby-Proofing your marriage”. Funny but an eye opener at the same time. The target audience is people who already have kids but in my opinion better read it now coz when the baby comes, I don’t think you have time to read the book. This saturday is our fortnighly trip to gynae. Next week we have antenatal class. Heh. Last minute baru nak belaja. Mmg macam time time U dulu. 😛 tak serik serik. Lately I have this craving for mcD chOc sundae. yummyyy…..
I’ve tried my best not to wake my hubby. Maklumla kalau dah macam ikan paus restless tu. Of course kalau I pusing-pusing he will somewhat be disturbed. Boleh pulak tanya dgn suara irritated you ni pekena? Sabar je lah. Dah la kita susah nak tido. Kena pulak tanya macamtu. So nak dipendekkan cerita, I woke up this morning with major raccoon eyes. Luckily tempat yg kena towel hangar smalam tu takde lebam apa. Heh. Kang org ingat pemenda la pregnant women pun bertumbuk kan. Growing up in middle class family, money was not a problem for me. So for me I am not very calculative about money. But I am not a big spender. I am also jenis yang tak berkira about money when it comes to necessity stuffs. Setakat singgit dua. And I don’t mind to pay my share..really I don’t. All you had to do is ask. But you don’t have to make hurtful comment to me out of nowhere. Sigh..
Last Friday yusnO and I went for a shopping spree for our baby. Byk jugak la benda kitorang borong. Hee. I’ve also bought some things for me to take to the hospital. I know I know. It should be ready and packed in the car by now but. Hey, I am a proud procrastinator. Hehe. Ouh and we’ve bought few of very cute outfits for her. Can’t wait for her to try them on. Now all we need is cute outfits for the hOt mummy to match. Right my darling hubby? Hehehehe..
Then on Saturday we went for our regular checkup at our gynae. Our baby seems healthy. Everything looks ok. Her heartbeat is 140 per second. And good news, my placenta is finally moving up!! So insyaAllah I will be delivering the baby normally. I think my pregnancy symptom is getting worse everyday. Last Saturday, I’ve only realized that I’ve misplaced my hand phone at night because I was not using it since morning. Since I haven’t went out of the house, so my hand phone must be somewhere inside the house. Suruh yusnO call, tak bunyi pulak..plus tak dapat pun..no coverage.. aik..very weird. Carik punye carik..masyaAllah…my handphone was in the fridge??? ?